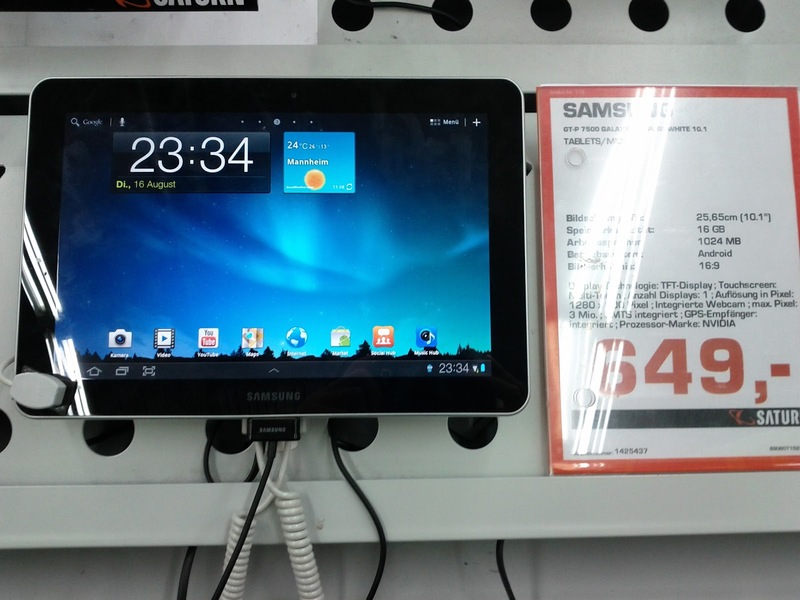 Despite the tries from Apple, the Samsung Galaxy Tab is in the shelf as normal. You can buy it at every major electronic market in "tze Deutschland". Samsung delivered plenty of units forefront. For now it's available. The unbelievably sentence that forbids the Samsung Galaxy in Germany is only referring to Samsung selling to shops. But those still can sell all existing devices to the customers. Luckily, the better tablet don't get stopped so easily. Until the units are sold out, another court might overrule that last sentence. Go Samsung, Go Galaxy Tab 10.1, Screw you, Apple! It's available for about €649.- for the 16GB version of the good side.